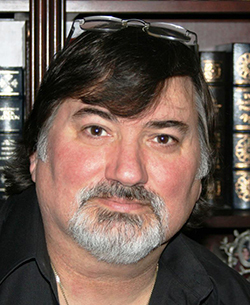 Tj O’Connor is the author of The Consultant, the first of The Jonathan Hunter Thriller series, and four paranormal mysteries. Dying to Know, Tj's first published novel, won the 2015 Gold Medal from the Independent Publishers Book Awards (IPPY) for mysteries and was a Finalist for both a 2015 Silver Falchion Award and the 2014 Foreword Reviews' INDIEFAB Mystery Book of the Year. ​Tj is an international security consultant specializing in anti-terrorism, investigations, and threat analysis—life experiences that drive his novels. With his former life as a government agent and years as a consultant, he has lived and worked around the world in places like Greece, Turkey, Italy, Germany, the United Kingdom, and throughout the Americas—among others. He was raised in New York’s Hudson Valley and lives with his wife and Labrador companions in Virginia, where they raised five children. Visit his website at www.TjOConnor.com.